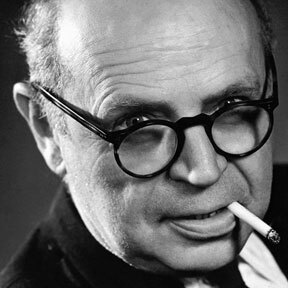 Poul Henningsen designed the three-shade system back in 1925-1926. Throughout his life, PH sought to create glare-free light, direct light where it was most needed, and create soft shadows, using incandescent bulbs as a light source. PH 3-2 Floor, introduced in 2002, is a member of the three-shade family which numbers 18 lights today, including three for outdoor use. Thus PH did not just design a light, but an entire system. PH was the first person to pursue a scientific approach to light and use the logarithmic spiral as a basis. By using a design based on the logarithmic spiral he achieved even distribution of light over the entire curve of the shade. This even light distribution, together with the diffuse reflection through the glass, made it possible to control glare and shadow. Each shade reduces the amount of light equally, due to their distance from the light source. Material Shades: Mouth-Blown White Opal Glass. Top Plate: High Lustre Chrome Plated, Spun Brass. Base: High Lustre Chrome Plated, Spun Brass. Stem: High Lustre Chrome Plated, Steel. Poul Henningsen was born in Copenhagen to the famous Danish actress Agnes Henningsen. He never graduated as an architect, but studied at The Technical School at Frederiksberg, Denmark from 1911-14, and then at Technical College in Copenhagen from 1914-17. He started practicing traditional functionalistic architecture, but over the years his professional interests changed to focus mainly on lighting which is what he is most famous for. He also expanded his field of occupation into areas of writing, becoming a journalist and an author. For a short period at the beginning of WWII, he was the head architect of the Tivoli Gardens in Copenhagen. 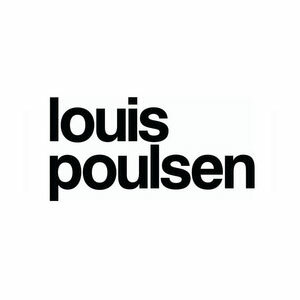 Poul Henningsen's pioneering work concerning the relations between light structures, shadows, glare, and colour reproduction-compared to man's need for light remains the foundation of the lighting theories still practiced by Louis Poulsen Lighting.